Karina's Kreations: Lighthearted Leaves Vintage Leaves technique Card! 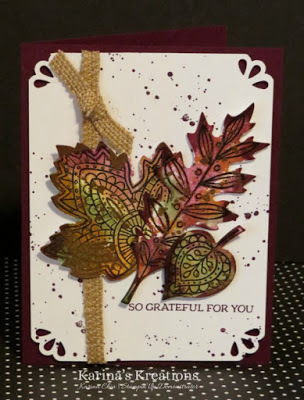 Lighthearted Leaves Vintage Leaves technique Card! We made this beautiful card at my last card class and I made video so you can try this technique at home. This card uses the Lighthearted Leaves stamp set.